Presented by Chris Smith, Simon Bishop. 01:15 - Does Mozart make you brainier? Can learning to play a musical instrument in childhood affect your intelligence? Chris - So first of all, where did this whole idea about Mozart, or learning the play musical instruments, learning to engage with classical music, might make you more intelligent, what's the background or basis to that? Sam - Well, about 20 years ago, there was a paper published in the journal Nature that showed that listening to some Mozart music, a piano sonata improved adult's performance on an intelligence test. So, it seemed that maybe listening to music might improve your cognitive skills. This turned out to actually not be the case. 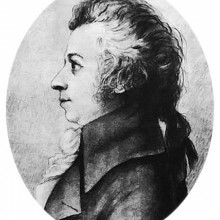 It turned out that the Mozart music just actually made people a little bit happier, a little bit more relaxed and that was what was causing them to do better on their test. But this paper made quite a bit of press and everyone sort of became very incensed with the idea of a possible Mozart effect. Even though that effect ended up being totally false, with all this press, came the possible idea that maybe sending your child to music lessons to play the piano or the violin, or to sing in a choir might also be connected with intelligence. So, it goes back about 20 years. Chris - So, what was the outstanding question then that you were seeking to answer here? Sam - Well, it turns out that the question of whether children who attend music lessons have some sort of intelligence advantages or higher grades. It's one that actually hasn't been tested very much in the academic press. So, our question is simply, if you give children a particular type of music training, whether it's instrumental lessons or a class for music in school or the type of training that we use which was parents child music enrichment in young children in pre-schoolers. If they get this type of training, do they show advantages on the cognitive assessments of above the level of their peers and who might have had a different type of class like an arts class or maybe no classes at all. Chris - I suppose that gets around the big question here which is, do people end up playing a musical instrument because they're academically more able in the first place, rather than actually playing the instrument and playing the music makes them better? Sam - So, that's a very, very important question. It's a very widely held belief that music and intelligence are linked, that children who do music are better at math. There's a really interesting problem here in the cognitive science and education literature which is the difference between correlation and causation. So, a lot of studies have shown that if you take a group of musicians and you compare them to a group of non-musicians, the two groups differ in a lot of ways. Not just the most obvious way which is that the musicians are better in music. They also often find that the musicians have higher cognitive skills, they might have done better in school. But it would be a very big mistake to conclude from that type of study that music makes children smarter. That's a false conclusion because it could be that there's something else going on in the background that is also associated with musicians. It could be that growing up to play music is also associated with growing up in a wealthy neighbourhood. You have to be able to afford music lessons and people who grew up in wealthy neighbourhoods also tend to do better in school because they have better teachers and better classrooms, that type of thing. So, what we need to do is what's called a randomised experiment and that's what we did in what a couple of other studies have done in the past. Chris - Tell us about the structure of that experiment, just very briefly. Sam - So, the way a randomised experiment works is you take a group of children and you randomly assign them to get something, the treatment, so your music lessons or something else. So, no music lessons, you have an arts class or no class at all. After a period of time when the classes are happening, you test them and see who does better. Chris - So, you recruited how many kids and what did you assess? Sam - So, we did two randomised experiments. In the first study, we had 29 children and in the second study, we had 45 children. Across the two experiments, children either received a parent child music enrichment class. These were 4-year-old children, preschoolers and they either got that parent child music class or a parent child visual arts class, or no classes at all. After 6 weeks of classes, so a short training period, we tested them in 4 different areas of cognition - their linguistic development, their early mathematical development, and then 2 types of spatial reasoning. Chris - What did you find? Sam - Our findings were a bit surprising especially for those who sort of have this engrained belief that music might make children smarter. Taking the results of the two experiments together, we find no evidence that the music trained children had any advantage on any of the cognitive assessments that we gave. Importantly, this does not mean that we proved that music doesn't make children smarter. It could be that using different types of music training might show that effect. It could be that using longer training might show that effect. But the sort of important thing I think about our paper is that in addition to running these two experiments, we also took a very critical look at the previous literature and we found that only 5 other studies have done exactly this. Only 5 studies have used a randomised experiment. When we look at those studies together, the evidence is not so good for music makes children smarter. Chris - Could you not argue it comes down to what you defined as intelligence because one person might say, well actually, giving those children an insight into music and an appreciation for and an ability in the musical arena means they're more likely to go on to pursue musical instruments and be more creative later in life? You've only looked in a very short period of time. Sam - Absolutely. So, I think when people say things like 'music makes children smarter', they're referring to a very specific thing which is intelligence quotient - so, IQ. We didn't even measure IQ at our study. We used specific measures of cognition, their linguistic development and mathematical development. I think there's no question that music lessons improve children's musical skills. I think there are obvious relations to children's creativity, and there's promise that's been shown in some studies that music lessons might be related to social development in some ways. So yes, it's absolutely important to define what smarter means in that context. Musically smarter I think is an obvious outcome of these lessons. Microorganisms in the gut adapt to changing diet within 24 hours, researchers have found. Furthermore, high fat diets encourage the growth of specific species of bacteria, including those that cause inflammatory bowel disease (IBD). Controlling diet might therefore be an effective way to minimize illness risk. One prevailing theory states that changing diets in the Western world, including more fat and sugar, affect the gut microbial community, contributing to epidemics of chronic illness, such as obesity and IBD. However, it was unknown how sensitive the microbial community, called the microbiome, is to diet-induced changes. Harvard researcher Lawrence David and colleagues tested the effect of a sudden change of diet -- to an exclusively plant or animal product regime -- on volunteers, including a lifelong vegetarian. Samples from each individual were screened by sequencing bacterial RNA, allowing the species that thrived under each diet to be detected. Animal product-based diets, which are high in fats and protein but low in carbohydrates and fibre, considerably changed the microbiome in each volunteer compared with pre-diet conditions. Effects were observed after just 24 hours. The most abundant bacteria to thrive on a high-fat diet were specialist species that tolerate high levels of acidic bile, which is released from the gall bladder in response to the extra fat intake. 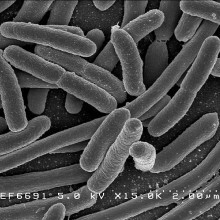 Of these bacteria, Bilophila wadsworthia had previously been linked to IBD. After the five-day trials, it took only two days for the microbiome to return to normal, suggesting that it might be possible to control B. wadsworthia populations in the gut by diet. The study, published in the journal Nature, also observed that bacteria and fungi from cured meats and cheeses are introduced into the gut microbiome. Furthermore, genes used by the microbiome also changed: increased copies of RNA sequences, which represent activated genes, were found for genes involved in vitamin synthesis and the breakdown of cancer-causing compounds. The work emphasizes the links between diet, the gut microbiome and the body's response to increased fat intake. 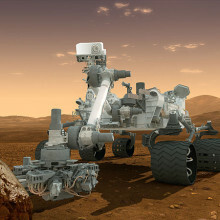 NASA’s Curiosity rover has spent that past 15 months exploring a region of the planet called Gale Crater. NASA's Curiosity rover landed on Mars in August 2012, and it has spent that past 15 months exploring a region of the planet called Gale Crater. This week the team running the rover reported on what they've found so far, and so here's your Quick Fire Science about our planetary next door neighbour with Dominic Ford and Hannah Critchlow. Today Mars is a barren and cratered world where temperatures commonly dip well below -100°C - cold enough for even carbon dioxide to form frost. To the unaided eye looking up at the night sky, Mars is strikingly red. This is because the Martian soil is littered with fine particles of iron oxide or rust. Low temperatures are not the only reason why Mars would be a harsh place to live. Its atmosphere is a hundred times thinner than the Earth's, and is composed mainly of carbon dioxide rather than breathable oxygen. What fascinates space scientists, though, is that ancient channels are carved into the Martian surface, which look like dried up rivers. Today, the pressure of Mars's surface is too low for liquid water to exist, so the presence channels imply that Mars's climate was radically different in the past, with a much thicker atmosphere. One of the Curiosity rover's aims is to work out how this change of climate happened. If there was once much more carbon dioxide gas in Mars's atmosphere, it's unclear where that carbon could have gone. The most likely answer is that it turned into carbon-rich limestone. Yet a big mystery is why very little limestone has ever been found on Mars. The Curiosity rover has also been measuring radiation on Mars's surface. Without a thick atmosphere to protect it, Mars's surface is blasted by the full brunt of radiation produced by the Sun. In fact, measurements from Curiosity's radiation sensors suggest that even the hardiest lifeforms on Earth could not withstand the irradiation the Martian soil receives. One of the next questions for Curiosity is whether microbial life might have been able to thrive on Mars in the distant past, even if not today. Space scientists are searching the Martian soil for large carbon-based molecules that are so complex that only ancient lifeforms could have assembled them. If Curiosity doesn't find any by 2018, the quest will then be taken up by the European ExoMars rover, which will arrive carrying the next generation of even more sensitive instruments. Can automated systems detect when hospital patients are showing worrying signs? Working with intensive care doctors, engineers at Oxford University have developed a new system to improve the way patients are monitored, and spot much sooner when someone is deteriorating so that their care can be intensified. At the same time, the system, which uses an iPad to log, analyse and share patient vital signs with key healthcare workers, can also tell when patients are improving faster than average so that they can be discharged more quickly, saving money. James Harrison went to see the Electronic Early Warning system, as it's known, in action. Nurse - Hello, there. I'm just going to check your blood pressure. It's going to go around here. It's going to squeeze you tight, only for a few seconds. James - Since 2011, the vital signs of thousands of patients from Oxford and Banbury are now routinely recorded using paper-based track and trigger charts which help identify when medical care needs to be escalated. These charts have already improved patient outcomes as problems are spotted more quickly. But the paper-based system is by no means perfect. So, a research team led by Professor Lionel Tarassenko at the University of Oxford's Institute of Biomedical Engineering has come up with an electronic version of the track and trigger system. Lionel - So, we've developed a system based on barcode scanners because all patients now have barcodes for identification. By 3 or 4 seconds, the patient is scanned, the nurse is scanned and she can do the observations. 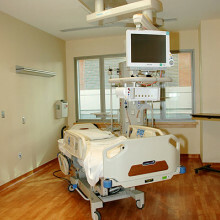 Having barcode in the patient and having barcode at our own identification, she can use this iPad, mounted on a trolley, right next to where the blood pressure monitors and the heart monitors on a position to enter this information. What she will do to identify how poorly the patient might be, is to take 5 or 6, or sometimes 7 of these observations. Our computer system produces a score of how normal the observation is for a typical adult patient. You build the score and if the score, which is a score of abnormality, is above certain threshold, then there's an alert and there's an escalation of care. James - With the prototypes in place, the team discovered that after only 2 or 3 patient observations, nurses were picking up scores high enough to trigger an alert. Meaning that they weren't having to waste vital time taking other measurements. As well as saving time by the bedside, the system was also engineered to feed information into the patient's electronic record, giving doctors ready access to essential information which could lead to earlier interventions which in some cases could be the difference between life and death. There are also cost savings associated with electronic track and trigger. If a patient could be helped back to health more quickly, aided by more accurate information, the increasingly valuable hospital bed can be freed up for somebody else. Lionel - If a patient is really progressing well and faster than the average patient with their condition or after that operation is, there is absolutely no reason they should be discharged early. The most expensive part of healthcare is a hospital bed. James - Professor Tarrasenko and his fellow researchers are hopeful that within 10 years, the majority of acute hospitals will have a system like this on their wards, an achievement that could prove revolutionary in the way medical teams monitor and record the vital signs of seriously ill patients. Growing crops in arid areas has become a little easier with the release of new technology that assesses the local environment. Understanding weather and environmental data to calculate how much water is required to successfully grow crops requires training and advanced knowledge not readily accessible by farmers. Furthermore, making sense of this data with statistical analysis is difficult to validate. To overcome these difficulties, a team of researchers led by Richard Snyder at University of California, Davis, have now released a 'how to' video in the Journal of Visualized Experiments. Their experimental setup includes a standalone recording station, complete with sensors to measure temperatures and wind movements. The device measures evapotranspiration, the rate of loss of water from plants and the soil. The package comes complete with validated statistical software, compiling information from the sensors and providing a simple data readout for farmers to make informed ecological decisions. The device could also be used in other locations, such as forests, to accurately study environmental demands. "After its development, this technique paved the way for researchers in the field of agriculture to explore field-scale water use in a variety of crops," said Kyaw Tha Paw U, one of the research team. The research stations are currently being tested across California for many crops, including rice, grapes, almond, avocado and corn. Air passenger links between cities internationally are the most powerful determinants of disease spread, new reserach has shown. Historically, the spread of infectious diseases tend to be limited by geography, because people moved on foot or on horseback, which imposed constraints on the speed at which an illness could move through a population. This meant mapping and mathematically modelling transmission of diseases like the Black Death, albeit based on unconfirmed data, was relatively simple. But modern-day means of travel throw a spanner in the works because, while two cities may be on opposite sides of the world geographically, in air travel terms they can be considered closer to one another than another settlement just up the road from one othe them. Now scientists have developed a new way to address this problem using a mathematical model that can more accurately predict the spread patterns of diseases internationally and even pinpoint the origins of disease outbreaks. Writing in Science, Humboldt University, Berlin, scientist Dirk Brockmann and Swiss Federal Institute of Technology, Zurich, researcher Dirk Helbing have come up with what they called the "effective distance" Deff between any of the more than 4000 airports internationally. To do this they developed a formula that takes into account both the infectivity of a given disease and how long a person remains infectious, as well as the proportion of any given population that are travelling through an airport (there are about 10 million passenger journeys per day, globally) and how "connected" that airport is to other airports based on passenger flow. This means that a remote, but heavily served airport behaves as though it is closer to an outbreak source than a smaller, yet much more proximal airport. 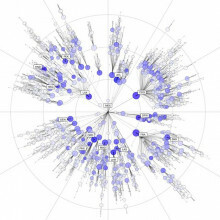 This data can be represented graphically by placing any given airport at the centre of the page and plotting other airports around it in concentric rings according to the "effective" rather than geographical distance from the source airport. Plotted like this, disease outbreaks appear as concentric rings that progressively spread outwards to the more distant airports. This approach means that Brockmann and Helbing can model where diseases, starting anywhere, are most likely to go and how quickly. To test their approach, they simulated the 2003 SARS oubreak as well as the 2009 emergence of swine 'flu using their system. In both cases, their predictions produced a near straight-line relationship between the time when either of the two pandemics arrived at any given location and the effective distance (Deff) for that location computed by the new model. This new work should make it easier to predict disease risks and also to test strategies designed to minimise the spread of emerging pandemics. 24:41 - What controls cell shape? What determines the shape of cells? Helen - In the human body, cells are all kinds of different shapes and it reflects that specialist nature of different types of cells. So, you can imagine that for example, a neuron that has to carry electrical signal from your foot, all the way to your spine has to be very long and thin, whereas another type of cell like a red blood cell is small and round because it's perfectly suited to carry oxygen. Simon - What's controlling the shape of the cell? Helen - So, cells are actually very good at controlling their own shape and they do this using specialised proteins which are called the cytoskeleton which is like a scaffolding inside the cell which gives it its specific shape. Simon - What aspect of shape are you looking at? Helen - So, I'm studying how cell shape actually changes during cancer. A lot of cells in the body are in epithelium which are these very tightly controlled layers of square-shaped cells. What you nearly always find in cancer is that the cells lose this nice regular shape and become kind of all kinds of different shapes. 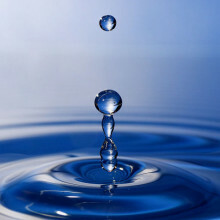 This helps the cancer cells do many different things for example to spread through the body by invading other tissues. They become very long and thin and invasive structures rather than keeping their nice regulated square shape. One of the other things that I'm studying in particular about cancer cells is how they also change shape when they divide. Simon - So, what does happen to cell shape during division? Helen - So, when cells divide, they lose their square shape and they become spherical. We think that this is really important to help cells divide accurately in two. It's much easier to segment a sphere into two equal parts than an odd-shaped or an uneven-shaped cell. Simon - I presume that becoming spherical makes the cell bigger and actually allows it to take up the space around it and that that would be an advantage when you're trying a tumour. Helen - Yeah, exactly. So, we think that actually this is something that happens normally in all the cell types when they divide, but actually, the cancer cells are able to exploit this and swell up even more so that they're able to divide efficiently in a tumour. Simon - How are you looking into the role of shape in cancer? Helen - I spend a lot of time looking down the microscope at cells dividing and looking at the shape changes that happen to them. I've got a video here where you can see the cell rounding up as it divides. Simon - Wow! So, I'm looking at a single cell side on and the cell suddenly lifts up and it becomes completely spherical. In the middle of the cell, I'm assuming this is the genetic material inside the cell. It's dividing as the sphere divides into two. So, it's quite a dramatic shape change from a flat cell to a spherical cell and then back down into two flat cells. Helen - Yeah, exactly. The cell essentially goes from being the shape of like a fried egg to a tennis ball, and it increases in height a lot. So, you see that the cells are very flat and then it really increases its height. Simon - Now, I suppose in a tumour, it wouldn't be flat on a slide in a microscope. How does this work inside a tumour? Helen - We believe that actually, in a tumour, a cell would swell up to become spherical in the same way, but this would allow it to have space to be able to divide in two. Simon - So, that's what you are showing me here. This looks a bit like a cell sandwich. We've got a cell on a flat surface. We've got almost like a gel on top. What's going on here? Helen - So, what they did was, they put this on a really small space. They squashed it under a gel and if you use a really soft gel, then the cells are able to round up and divide normally. But if you use a really hard gel then the cell is no longer able to generate enough force to round up and you get these cells dividing when they're still flat. In cancer cells, what they found is that actually, this is disastrous and the cell really fails division and is unable to divide properly, unless it's able to do this cell shape change. Simon - How are you looking at what underlies this genetically? Helen - So, I really want to find out which genes are involved in this shape change that happens when cells divide. To do this, I used a method called an RNAi screen where what we do is we systematically knockdown different genes, turn them off, to see which have an effect on cell shape during division. Simon - Did you have in mind which genes to target in the first place. Helen - Yes, because obviously, there's a great many genes in the human genome and it would be a big undertaking to knock them all down. Simon - I guess that would take quite a long time. Helen - Exactly and a lot of money. So, we specifically chose genes that we already knew are activated when cells divide because we thought that if they're active then they could be good candidates to be involved in changing the cell shape. Simon - What did you find? Helen - We've identified one gene that really has a strong effect on cell shape and division. It's a gene called Ect2. It's a molecular switch, so it's actually a master switch within the cell that controls the cell cytoskeleton. It's involved in building up the scaffolding that gives the cells their shape. This has a very profound effect on cell shape because if you remove Ect2 from the cell, they no longer round up and they stay completely flat when they divide. Simon - So, what's the difference between a cancer cell and a non-cancer cell? Helen - So, that's what actually we're really trying to find out now. Why is it that cancer cells behave differently in these shape changes at division compared to non-cancer cells? To do this, we're taking non-cancer normal human cells and activating genes that are frequently activated in cancer. Simon - So, you're almost making a non-cancer cell pretend that it's cancer. Helen - Exactly. In fact, we're transforming it into a cancer cell then we're studying what happens to the cytoskeleton and to the shape of the cell when it divides. Simon - And what happens? Helen - I don't know yet. This is what I'm studying at the moment. How do eggs turn from one cell into a structured network of over a trillion cells? Richard - It's amazing logistical problem. So, how does that happen? In animal development, it's done by dividing and conquering the problem. We begin to make big decisions during development first and then you make more and more specialised decisions. So development begins by dividing that first fertilised cell into many, many cells. These cells, to the outside the observer, look very similar to each other. There's not necessarily any particular structure to the embryo. Chris - Just a ball of cells. Richard - Just a ball of cells, but of course we're clearly much more complicated than that, so the embryo must transform itself. That takes place in remarkable morphogenetic process - which means a change of shape of this ball of cells - and the process is called gastrulation. It literally means the formation of a stomach. What the embryo is doing is changing itself from a single population of cells into 3 concentric tubes of cells. 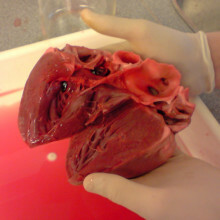 The innermost tube is going to form the gut and associated organs. The intermediate layer of cells is going to form connective tissue and muscle, and the structural components of the body, and the outermost layer of the tissue is going to form our skin, and our central nervous system, our brain and our spinal cord. Chris - How do those cells know who they are? So, if you go from this ball of cells where one cell just divides, makes two and then two become four and so on, how do they know, "I'm going to become the inner tube that's going to become a gut and I'm going to become the tube around that, that's my muscles and I'm going to become the outer layer that's going to be the skin." How do the cells get addressed? Richard - Remarkably, very early in development where there's first divisions which might build an embryo that has maybe 10,000 cells. 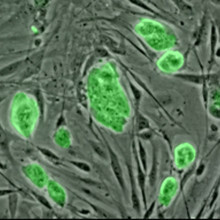 Many of those cells don't yet know what they're going to become, but they're going to be organised and influenced by a signalling centre, a small population of cells that are going to send out small diffusive signalling molecules that are going to induce the cells to take on the identities of endoderm or mesoderm. Chris - And these are these different layers. Richard - These are the different layers. Initially, these cells are sitting in concentric rings around the signalling centre and they must physically transform themselves into a structure that is physically a concentric series of rings. So, the whole embryo must transform itself physically from one shape into new shape which is now an endoderm surrounded by mesoderm, surrounded by ectoderm. Chris - So, when the cells are making these decisions as to what to become under the influence of these signals coming out of other cells to say, "You Richard, you're going to become a gut or so on", does that irreversibly influence what genes are turned on, how the DNA is controlling those cells then? Richard - At that point, yes. The first irreversible decisions are made, and now, the repertoire of decisions that that cells is able to take it is restricted. And then subsequent decisions would define which part of the gut for instance that cell would perform and which some subtype of cell of this progeny would be able to produce within the gut itself. Chris - How do the cells move around in the embryo so that the ones that should be in the middle and making this gut tube are there and the ones that are on the outside to make the skin are in the right place as well? Richard - The movements are very varied and interesting. Some are, just as Helen just described involving the cytoskeleton that change the shapes of cells, the cells are able to move on each other. But within the embryo, many cells are stuck together on structures of tissues. These populations of cells are able to transform themselves in much more sophisticated ways. So for instance, they can pull themselves in one direction which causes the tissue to elongate in another direction. This kind of transformation is the one that takes us from a ball of cells to an elongated embryo which is recognisable as a developing embryo. Chris - When things work out, it's great because you have a perfectly proportioned, a perfectly developed baby, but we know it doesn't always work out like that. There are some neurodevelopmental abnormalities. Is that when one of these occurs, things like spina bifida and so on? Is that because the cells haven't migrated to the right place during development? Richard - That's a problem that we're very interested in in our lab. We don't really know the details, but it's something to do with the communication within cells which enables them to collectively change shape. In the case of neurulation, it's a sheet of cells that is trying to just roll itself up into a cylinder and that cylinder is the precursor of the spinal cord. If this rolling process is incomplete then the two edges are unable to fuse and the spine remains unfused, and that is the lesion of spina bifida. Chris - If we can understand through work like yours then why that goes wrong, that will potentially give us insights into how to prevent it going wrong or how to put it right when it does. Richard - We would hope that what we can find are clues as to the underlying causes, what is physically wrong with the behaviours of cells, and that would give us clues as to how we might be able to intervene in the future. 36:19 - How do cells know where they are? 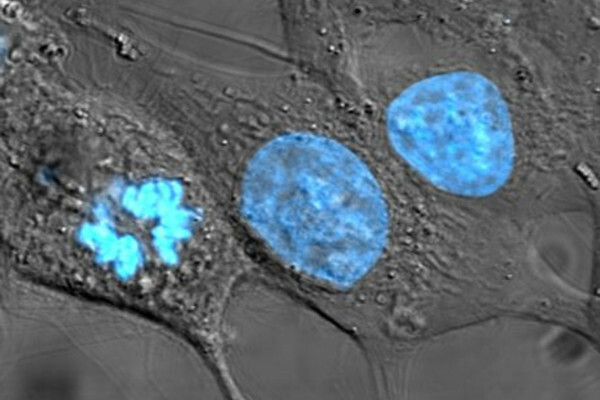 How do cells know where they are? Max - So, the basic question is how cells coordinate their shapes with one another to assemble large structures like tissues or organs. Our idea is that there are some general principles that'll be true across all of them and those are really what we'd like to find. To do that, we happen to be working on nerve cells and the cells that surround them in the nervous system. We've chosen those because cells have highly coordinated shapes that are very elaborate and are very carefully positioned with regard to one another. It's obvious in that case how their shape relates to their function. The function of a nerve cell is to transmit information from one place to another and it needs to have the right shape and make the right connections to do that. but our hope is that if we can understand how those cells come together and coordinate their shapes, it will also help us to identify general principles that we expect will hold true across all kinds of cells and all kinds of tissues. Simon - What can we use the knowledge of those general principles for? Max - A number of groups are interested in tissue engineering. To engineer tissues of course, you have to understand how they naturally assemble. Moreover, there's a number of diseases that result from failure of cells to properly assemble. 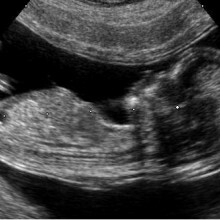 Any kind of structural birth defect can be thought of as a failure in cells to properly assemble into larger structures. Simon - Take me through your work. You're looking at the development of the nervous system. How do you go about even starting looking at this enormous problem that you have to go from single cells to multicellular organisms? Max - We're looking at a small roundworm called Caenorhabditis elegans or C. elegans and much of the work has been done by really giants in the field who set the stage for all of us who follow. They determined how the single-celled fertilised egg that all of us start from, in the case of C. elegans, how that single fertilised egg goes through every division to give rise to every cell of the animal. Remarkably, in this animal, it's always the same number of cells that arise to exactly the same divisions. They also catalogued the contacts that every cell makes with every other cell which again is genetically determined in this organism, and the shape of all the cells. So, much of the hard work of cataloguing how cells turn into multicellular structures has been done and our job now is to try to understand the molecules, the genes that determine those programmes that control the assembly. Our basic approach is to take a cell that we think is interesting. For example, a single neuron and we have ways of expressing a label, a fluorescent label. So, we have that one cell glowing in otherwise not glowing animal. These animals are small and transparent so we can see the cells in the animals as they're crawling around. Since we can see it, we can see its shape and then we randomly mutate the DNA, disrupting genes at random. We look around across thousands of individual animals for one is, in which the shape of that particular neuron has been changed in some way and then we take that animal, we keep it, and we grow it. We check its progeny, its offspring, have the same defect and then we can use genetics to identify the gene that was mutated, the gene that was disrupted. And we know that the normal function of the gene must be to give the cell its normal shape. And then comes the really hard work of understanding how that gene, what protein it encodes and how that protein functions, to generate the shape of that cell. Simon - Could you tell me a little bit about one of the genes that you've been looking at? Max - So, one of the genes we've worked on the most is one that came out of the screen just like what I described where we had animals where we were able visualise a single neuron in the head. It was a sensory neuron that responds to smells in the environment and allows the worms to crawl towards things that smell good to them. The way it does that is this neuron, this nerve cell extends a thin sensory process called a dendrite out to the nose tip where it's able respond to the smells in the environment. We were able to identify mutants where we disrupted a single gene that ended up causing that neuron to fail to extend to the nose tip and identified what gene it was that we had disrupted. It's responsible for creating what's called an extracellular matrix, a meshwork outside of the cells. That didn't make too much sense to us until we looked more carefully at the early development of this nerve cell. It turns out that the nerve cell is born already at the nose and attaches to this meshwork and the nerve cells starts crawling away from the nose and dragging out the sensory dendrite behind it, much like a spider spinning a web. When you disrupt the gene, you're no longer able to make this meshwork to which the nerve cells attach. When the nerve cells starts crawling away from the nose tip, instead of stretching out, this dendrite behind it, it drags along the process with it and ends up with a dendrite that's much too short and fails to reach the nose. So, that's how this gene is able to promote all the proper shape of this nerve cell. Limb defects caused by the drug thalidomide can help us to understand the condition clubfoot. Neil - Clubfoot is a limb defect that causes the failure in a foot to rotate correctly. And so, the child is walking on their ankle joint as opposed to the base of the foot as you and I would. Chris - Why does that happen? Neil - The short answer is, we don't know. But there's many ways that it's caused. Bone malformations or muscle failure, or blood vessels. We got interested because in Scotland, incidence is quite high. And so, it's 1 in 500 births have clubfoot. It can occur on one side or both sides, and we've made animal models. We have a mouse model, and I've made a chicken embryo model. Basically, we found in these particular models that it's due to neuromuscular failure. So, if you block the nerves as it guides through the limbs and it fails to reach the muscles, the muscles don't form and then the muscles prevent this process called rotation occurring in the embryo which is a process by which the forming foot rotates around so that it can be walked upon. That doesn't happen so that they stay where they were as an embryo which is sort of looking like a bit an arm almost and the result is clubfoot. Chris - You mentioned that the incidence is quite high in Scotland. 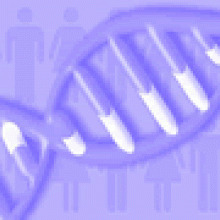 Do you know what the genes are then because if there's a high incidence, there must be families with it? Neil - It is familial and there are many genes linked to it. But the ones that cause this are still unknown. That's what we're doing - that's why we have these different models here, chicken and mice. The idea is, is that we're going to hopefully going to find those genes that cause those particular clubfoot malformations and then that will hopefully give us some diagnostic or tools that we can then identify potential families at risk. Chris - If you look in the chickens, do you actually have a gene that you've mutated or changed in order to make the chick or the mouse have the problem or was this just, you got these animals by random selection? Neil - No. With the chicken, it's pharmacologically induced. We used drugs that blocks neuromuscular migration and that causes a very severe clubfoot. The ankle joint is almost faced on the femur if you like, the upper part of the leg. From that, we've looked at the muscles and the nerves and other tissues like the vessels and tendons and things to understand what's going on and what the process is. Now, we're starting to screen some of the targets we've found in the mouse or potential targets in the mouse into the chick to see what they do and how they do it. Chris - Of course, one disorder which is very visibly manifested in people is the disorder caused by the drug thalidomide which was used in the 1950's and the 1960's. Does that give us any clues because it produces these profound limb abnormalities and affected people? Does that give us any clues as to how this problem can happen naturally? Neil - Clubfoot was seen in thalidomide embryomyopathy. Yes, ultimately, when we worked out the genes involved in thalidomide, that should give us major insights of the normal and abnormal limb development. That's what we're doing. We use thalidomide in chicken embryos to induce these limb defects and then study molecular as well as physical changes. Hopefully, if we understand the mechanisms by which thalidomide cause malformation, hopefully, we'll be able to understand more about normal development and why things go wrong in other conditions. Chris - It is also quite a good drug. Thalidomide is still used, but not for what it was used when women were pregnant in the '50s and '60s. It's used for various disorders, leprosy and even myeloma these days. Neil - That's correct. Thalidomide is now used around the world. It's the treatment for leprosy. It's used in the UK, in the US, parts of Australia and other parts of Europe for the treatment of multiple myeloma where it prolongs life by up to 18 months. It's also in clinical trials for things like Crohn's disease, HIV and other inflammatory disorders. Very effective in those conditions. Sadly, in some countries, we are still seeing birth defects. Particularly in brazil, t here was a story just this year around a new generation of thalidomide survivors out there. This is due to drugs still being teratogenic. If it's taken at the wrong period of the formation of the embryo, you'll have a birth defect. Chris - Do we know why it's so specific for the arms and legs, and other organs and other parts of the body don't appear to be affected in the same way? Neil - The drug affects many tissues. The limbs obviously are the ones that you see the most of because you see them on the person. But in fact, any organ can be affected by the drug. 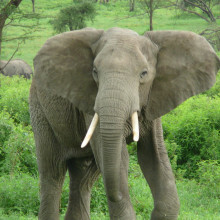 In the majority of the survivors, they have a range of limb damage. Of course, you can look at it and say, well, when the drug was taken, it was given to treat morning sickness, and at that particular time the limbs were rapidly forming and they're rapidly growing. So, limbs were no doubt targeted at that time point. And we've shown that blood vessels were destroyed and if you lose blood vessels, you induce cell death, you lose the gene expression pathways. This results in a range of limb defects. So, we can induce that in chicken, but other tissues can be affected as well. Our group at the moment are trying to find out how, what targets of the drug result in these range of defects. We're also trying to make forms of the drug that don't cause birth defect, but it's still clinically relevant. 47:47 - How are stem cell fates controlled? How are stem cell fates controlled? Richard Adams - The stem cells at the very beginning of development do indeed know all of the information that they need to make any tissue of the body, but driving them towards making any particular tissue can be done in a number of ways. You can either expose them to particular growth factors - diffusable signals that come from one cell to signal another cell to cause them to make a particular cell type. And you can also influence them by their physical environment, if you grow them on substrates that are stiffer or more flexible then it changes the kinds of cells that grow in culture. Simon - Now Neil, you're looking at a later stage of development, are these the same cues that are taking place, or are there extra signals such as hormones that are involved in activing genes? Neil Vargesson - In limb development, stem cells have already done their job by that point, and you have a heterogeneous population of cells, lots and lots of different cell types coming in with lots of different signals, and they all are signalling towards one another, setting up signalling cascades. Sitting at the top of that, the hox genes, for example, and you'd also have signals such as sonic hedgehog and fibroblast growth factors all talking to one another, and it's that combination of how that cascade is controlled, and how they signal to each other and control each other that we're looking into right now. One of the big questions in developmental biology is how this how these networks are controlled. 49:23 - How is gene expression controlled in tissues? 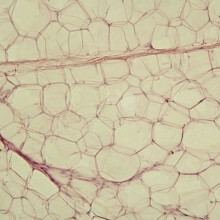 How is gene expression controlled in tissues? Richard Adams - Two basic ways. It's controlled in a positive way by specifically switching on particular genes as a response to signals that particular cells are experiencing. But it's also controlled by reducing the compliment of genes that are available to be switched on by silencing genes in particular places. Where cells in particular tissues become more specialised, they silence more and more of their DNA, and therefore reduce the possible responses that they can have to the signal. 50:12 - Are all cells replaced in a body over time? Are all cells replaced in a body over time? Richard Adams - I don't know what happens to cells in the teeth. I do know that cells in the lense in the eye, for example, don't regenerate - we keep the same population of cells throughout our lives. Tattoos - well tattoos do in fact lose their resolution over time, they become a little blurred over time. So I think the dye that becomes embedded within the tattoo gets dispersed as the cells in the dermis are replaced. Chris Smith - They can also get dispersed when certain body parts grow or shrink, so Cheryl Cole needs to be careful because her posterior which has a rather large rose on it could shrink or expand. 51:17 - Do smaller organisms evolve faster? Do smaller organisms evolve faster than larger ones? This week, we examine the old adage - is size important? Robert - The short answer is yes. It's not so much that smallness makes you evolve faster, but it's what' correlated with small size that matters. Small animals on the whole reproduce faster than larger animals. They grow up, reach maturity, have their babies and die over a much shorter period of time. So, the number of generations of a small animal is going to be much, much greater. This means that there will be more mutations and more exposure to selection in each generation, so that the potential for evolutionary change is just that much greater. Hannah - So, size is important in evolution - the smaller, the better. In which case, not to sound all doom and gloom, but how have us, long-living and relatively gargantuan human beings managed to survive against the deadly invading bugs which are out there? Is the end of the world nigh? John Trowsdale, professor of immunology at Cambridge University, reassures us. John - First, we must remember that it's not advantageous in fact for a microbe to kill its host. If it did that, it would then lose its livelihood. So, most bugs are adapted to live in harmony with us. In fact, it's been calculated that we each carry around in our gut and on our skin, maybe 10 times more bacteria than we have cells in our body. Second, we have many, many lines of defence and any pathogen has to overcome all of them to gain an advantage. It's been calculated that well over 15% of the genes in our genome are involved with the immune system. Third, if an infection does take hold, there's rapid selection within the individual by the adaptive immune system by a process of rearrangement and mutation. We each make many trillions of different antibodies and the best is selected at which time to respond to a specific infection. Finally, there is great variation in the immune systems of different individuals. This is to our advantage as if a virus mutates to overcome the defences of an individual, other people will be resistant. So, spread of the infection is limited. John - Hello. My name is John and I live in Melbourne, Australia. My question is, are electrons orbiting atoms? I've always wondered how come electrons seem to perpetually spin around a nucleus? What forces are involved and how come friction doesn't play a part in stopping their movement? Thanks guys.